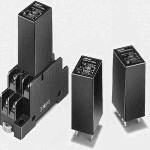 Solid State Relay There are 196 products. 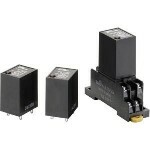 Solid-state relay, surface mounting, 1-pole, 10 A, 264 VAC max. Solid-state relay, surface mounting, 1-pole, 40 A, 264 VAC max. Please contact the More Control sales team for further information and to obtain a price for this product. Our email is sales@more-control.com or call 0345 00 00 400.